Your baby boy is now growing up and he will need more than a baby nursery, he will need a newly matured boy bedroom. 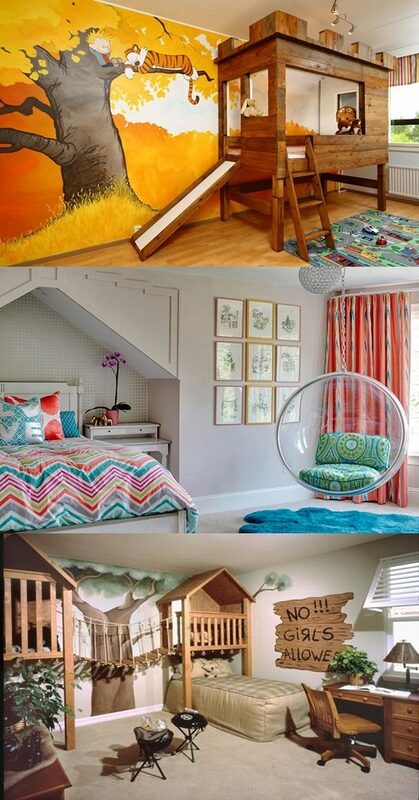 When you are going to deciding the decoration of your boy bedroom, you should give your boy the chance to cooperate. It is his room, he needs to reflect his personality there and feel comfortable and enjoyable. With your boy participation, you will integrate his preference inside the room. The ideas and the theme for the boy theme are limitless, your limit are going to be the sky. The theme is the first thing to consider which you can organize everything then by this theme. With the right theme, your boy can study, play, sleep and even stay only with pleasure in his bedroom. If your boy is kind of fascinated of the Racing Car, you can create the whole bedroom with a Racing Car theme. This theme is available in the stores and online with all its items; CAR shaped bed and dresser with cars stickers, accessories and lights fixtures which will make your child incredible excitement. What about a matured boy who is seeking to be a military man? The best thing ever to do is to build for him a military camp or create this military atmosphere inside his room. You can paint the wall with the light camouflage or with military green. Then you may choose a tent in the headboard as a bedding to have this military camping feel. There are also the dresser, table, desk and accessories that come with this theme to complete the whole military scene. Is your boy a big fan of the superheroes? You can make his dreams always come true by creating a superhero theme which is so easy and funny. As example superman theme, this is available with all its sets. You can hang the superman wallpaper on the wall and contrast them with the painting. The bedding could be with the superman collection of stickers on the borders. Then complete the look with the red rugs and printed curtains. Your boy will be pleased with his bedroom decoration.